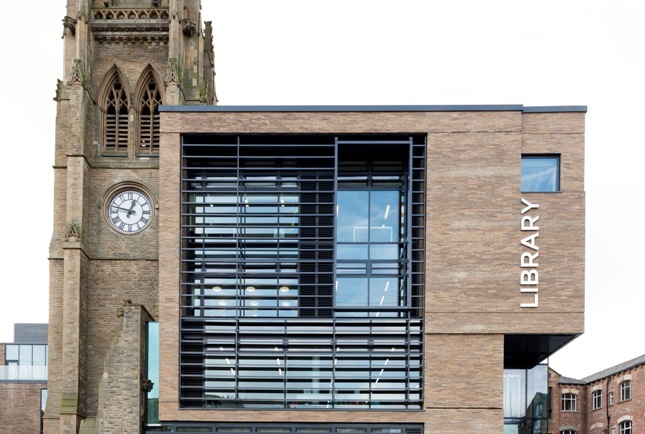 The Westgate Centre was commended in the Commercial Building category, while the magnificent new Halifax Library was honoured in the Public Building category. The Brick Awards, which are organised by the Brick Development Association and are regarded as the Oscars of the brick industry, were held at a glittering ceremony in central London this week. York Handmade chairman David Armitage said: “We were very proud to receive recognition for our work on the Westgate Centre and Halifax Library and to know that they were strong contenders on a highly competitive short list. “Brick was alive and well at the awards and it is great our entries were right in the mix. Hopefully we can go one better next year and be an outright category winner. In 2015, for example, York Handmade won the Best Outdoor Space category in the brick awards for its “magnificent achievement” in restoring the Belvedere and Queen Elizabeth Walled Garden at Dumfries House in Scotland, a pioneering restoration project masterminded by Prince Charles. In addition the Belvedere was shortlisted in the Craftsmanship and Best Refurbishment Project categories, while York Handmade was also nominated for its work on Carmelite House on London’s Victoria Embankment. York Handmade won a hat-trick of categories in 2012. The buildings which won the awards were: Four Oaks in Little Bedwyn, Wilts (Best Single House); Tupgill Cellar, near Middleham, North Yorkshire (Best Craftsmanship); and Chetham’s School of Music, Manchester (Specialist Brickwork Contractor). In 2009 the company was short-listed for the Best Educational Building award for its work on De Grey Court at York St John University.